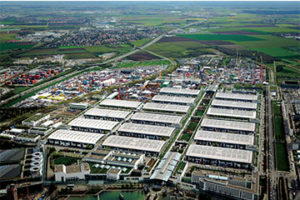 Half a million people visited Bauma when the show was last open three years ago. Photo courtesy of Alex Scheibert. Half a million people descended on Munich, Germany, three years ago for Bauma, the largest construction industry trade show in the world. 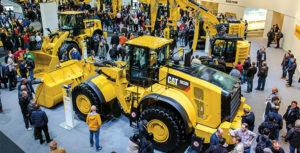 Bauma is back in 2019, and the show’s organizers anticipate the April 8-14 show to be bigger than ever. 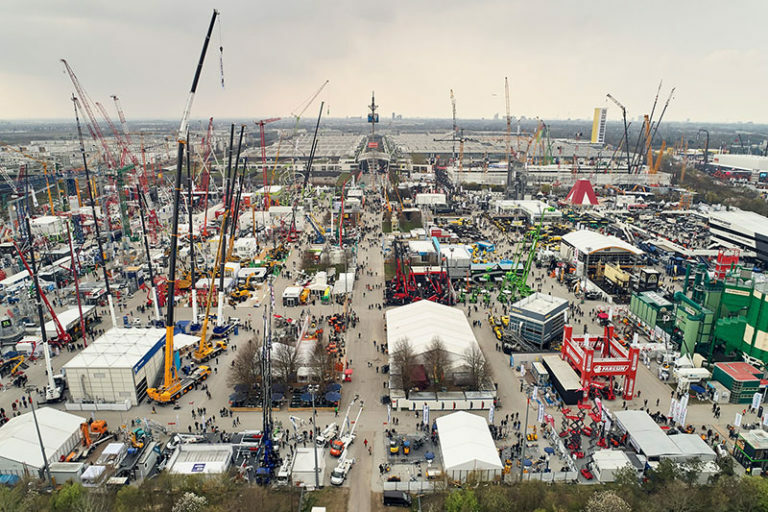 Bauma 2019 already set at least one record, committing more than 3,500 exhibitors to the show. The 3,500 are about 100 more than Bauma 2016. Additionally, Messe München is confident the show can surpass the 600,000-visitor mark after drawing 583,736 visitors from 219 countries three years ago. 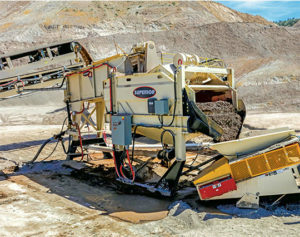 Superior Industries plans to showcase its Alliance low-water washer, which allows operators to wash fines within their crushing circuit. The Alliance saves from transporting fines to a separate wash site, which requires trucks and re-handling of the material. PhotoSuperior’s Alliance low-water washer is designed with a small footprint, allowing it to be easily incorporated into an existing plant. Photo courtesy of Superior Industries. 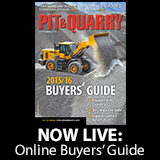 Available for production rates of 100 to 300 tph, the Alliance accepts a dry feed from the crushing circuit. An agitator converts the material to a slurry before an integrated dewatering screen removes excess water, leaving as little as 8 percent moisture in the discharged manufactured sand. Another equipment supplier, Kleemann, plans to present a comprehensive cross-section of its product portfolio at Bauma. 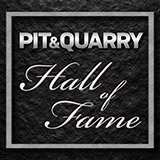 The company will have seven mobile crushing and screening plants on hand for natural stone and recycling applications, including the Mobicat MC 120 Z PRO and the Mobicone MCO 11 PRO. While the Mobicat MC 120 Z PRO jaw crusher features an hourly output of up to 650 tons, the Mobicone MCO 11 PRO is a secondary cone crushing solution capable of processing 470 tph. Powerscreen will showcase its latest machine modifications and display three machines: the Trakpactor 550SR, the Metrotrak and the Chieftain 2200 three-deck. 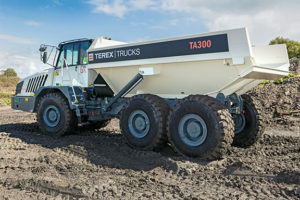 The updated TA300 from Terex Trucks will make its first international trade show appearance at Bauma 2019. 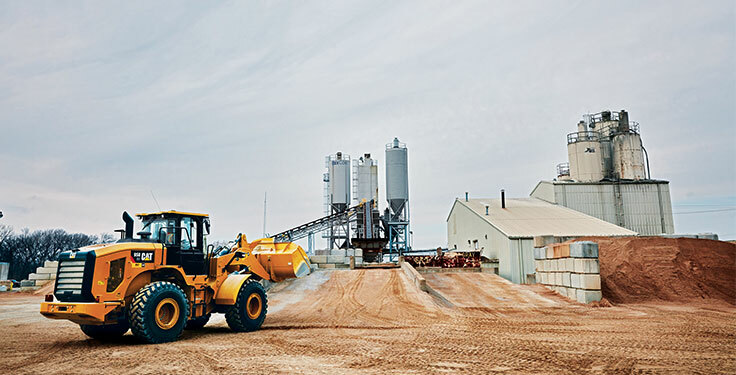 Photo courtesy of Terex Trucks. Along with Powerscreen, Terex Finlay will preview the new OMNI system, which interacts with mobile crushing and screening equipment. Terex Trucks, meanwhile, will offer visitors the chance to get up close to the upgraded TA300 articulated hauler. According to the company, this will be the first time the machine has been on display at an international trade show. Terex Trucks will demonstrate how the company’s two articulated haulers – the TA300 and TA400 – deliver low total cost of ownership and high productivity at jobsites like quarries. Allu will unveil its latest developments at the show, including a new mobile app with functions aimed at improving customer productivity and jobsite safety. The company will also introduce a TS blade structure with two fragment sizes and a new blade thickness of 8 mm, as well as the TS doubling/tripling blade variations for combinations between 8 mm and 105 mm. Bauma visitors will also see 50 machines on Volvo Construction Equipment’s (Volvo CE) two stands, grouped into themes of load, dig, haul, pave, innovation and service. A Volvo CE excavator that will debut is the 20-ton EC200E.